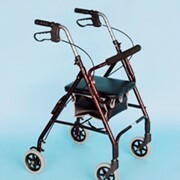 SLE Walkers/Rollators are designed to provide and assist those who require balance and stability when walking as well as offering a lift up padded seat to rest on when needed. It is the perfect companion for taking walks outdoors, shopping trips or just enhancing your safety in and around the house. 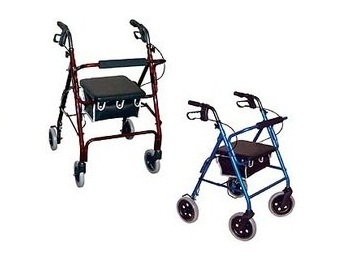 Whether it be a 4-wheeled walker or a 3-wheeled (tri) walker we have an extensive range consisting from standard to highest quality in design. Featuring options like a curved or straight padded backrest, height adjustable handles, cable style brakes, compression push down brakes, under seat basket or bag, lightweight, foldable and a large variety of colours available. Mini, overwide and bariatric available. Here at Specialised Living Equipment Pty Ltd (SLE) our approach is just that...specialised. SLE have an ongoing commitment to meeting individual needs. It is our goal to enable every individual person to live as independently as possible in the place that is best for them. So if you are experiencing barriers to everyday living, SLE can help. Whether it is because of illness, disability, and advancing years or recovering from surgery, you can HIRE or BUY what you need to make your life easier, accessible and comfortable. 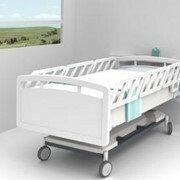 The mission of Specialised Living Equipment is to provide and assist the elderly, frail and/or disabled adults, and people in rehabilitation, their carers and support networks, in the North West suburbs of Melbourne and beyond, with specialised equipment and advice, in a personal, honest and professional manner. Would you like a callback from Specialised Living Equipment if you don't get through?